There are so many good wines coming from unfamiliar places in Spain (Yecla? Utiel-Requena?) that the best way to keep up may be to get to know the names of some top American importers. Here are 10 importers you can trust to do the scouting for you. Just look for their names on the back labels of Spanish bottles. 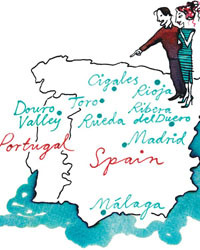 Spain is home to dynamic new winemakers, new grape combinations and great bargains. The Spanish wine market in the United States is so competitive that many importers have chosen to decrease their profit margins rather than increase their prices as the dollar falls against the euro. Their loss is our gain: You can find an enormous array of exciting Spanish wines between $8 and $20 on store shelves. The new Spanish wines are a reaction to the perceived problems of the old wines (which often developed oxidized flavors from too much time spent in the barrel). Both reds and whites are now fresher and plumper, with more fruit and less oak. 2003 Salneval Albariño $10 Albariño's crisp, floral character has made it one of Spain's most sought-after white wines. Colección Internacional del Vino imports this bargain version. 2003 Guelbenzu Vierlas $11 Stephen Metzler's Seattle-based Classical Wines brings in this red, a potent, peppery six-grape blend. 2002 Castano Solanera $15 Unfined and unfiltered, custom-bottled for importer European Cellars, Solanera is a blend of old-vine Monastrell and Cabernet Sauvignon. 2003 Viña Herminia Rioja Tempranillo $11 This easy-drinking, slightly aged red from French-American importer Europvin Iberia has lots of juicy, bright fruit character. 2003 Celler El Masroig Les Sorts Jove $10 Up-and-coming Philadelphia-based importer Boutique Wine Collection found this soft, full-bodied red blend in the Montsant region of Catalonia. 2003 Rozaleme Bobal Tempranillo $15 French-American André Tamers's De Maison Selections specializes in family-owned wineries like Rozaleme, which makes this mouth-filling, smooth red. 1999 Blason de San Juan Reserva $26 A Tempranillo-based wine from the Ribera del Duero, this is a luscious and elegant red brought in by this Massachusetts-based importer. 2002 Vinos Piñol Sacra Natura $15 This certified organic red is a great find by Alberto Orte and Patrick Mata, the youthful duo behind Olé Imports. 2003 Descendientes de J. Palacios Petalos de Bierzo $19 Though Rare Wine specializes in high-end bottlings, this spicy, robust red from star winemaker Alvaro Palacios is a great buy. This Massachusetts-based import company is owned by Jorge Ordoñez, one of the great pioneers of Spanish wine. 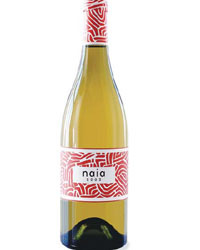 One of his best finds is this dry, white Verdejo, with its grapefruit and citrus aromas, made from 21- to 90-year-old vines in the Rueda region.